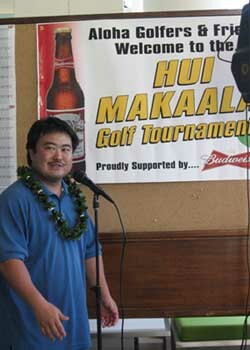 Chairperson Ryan Okunaga announces the winners. 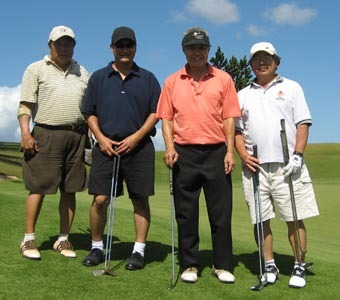 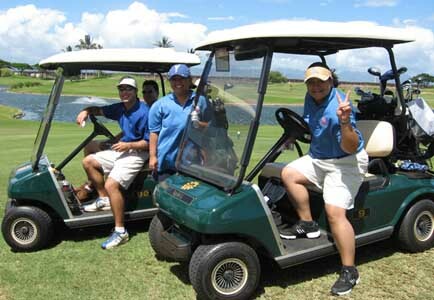 80 Golfers tested their skills on the links at the Hui Makaala Golf Tournament, featuring an 18-hole modified scramble format. 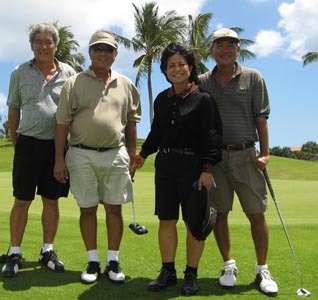 Lloyd Higa and team (left), Laverne Higa-Nance and team (right). 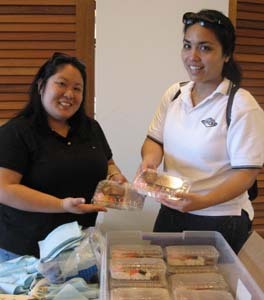 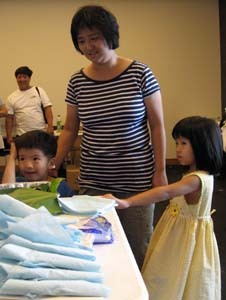 Dean & Lisa Shishido (left), Val Kato and Jen Waihee with bento lunches (center), the Nitta family helps set-up (right).